That is the question being asked today. Why did over 150 people have to die with hundreds more wounded. Why did a group of savages attack 2 hotels, a hospital, a train station and a Jewish Center? Other than instill terror into the nation of India, what did they hope to accomplish? Did they achieve their aims and goals? Were they able to release just one of their compatriots from prison? No! But they killed and maimed just the same. 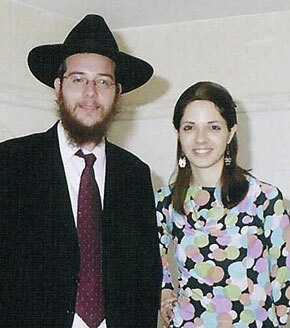 “Gabi and Rivky Holtzberg made the ultimate sacrifice,” said Rabbi Moshe Kotlarsky, vice chairman of Merkos L’Inyonei Chinuch, the educational arm of Chabad-Lubavitch. “As emissaries to Mumbai, Gabi and Rivky gave up the comforts of the West in order to spread Jewish pride in a corner of the world that was a frequent stop for throngs of Israeli tourists. Their Chabad House was popular among the local community, as well as with visiting businesspeople. Gavriel Holtzberg, 29, was born in Israel and moved to the Crown Heights section of Brooklyn, N.Y., with his parents, when he was nine. A prodigious student, Holtzberg was a two-time champion in a competition of memorizing the Mishnah, a compendium of rabbinical laws and enactments redacted in the second century C.E. His 28-year-old wife, born Rivka Rosenberg, is a native of Afula, Israel. Chayki Rosenberg described her sister as dedicated to helping Jews. Two years ago, the Holtzbergs raised funds to purchase the current location of the Chabad House, a five-story building in Mumbai’s Colaba market area known as Narimon House. A trained ritual circumciser and slaughterer, the rabbi also conducted weddings for local Jewish couples in addition to teaching Torah classes and visiting with tourists. His last known phone call was to the Israeli Consulate to report that gunmen were in his house. In the middle of the conversation, the line went dead. The Holtzbergs joined the more than 125 people who were killed in the Wednesday night through Friday attacks, which saw dozens of suspected Islamic terrorists come ashore in Mumbai near the Gateway of India monument. The terrorists, carrying assault rifles and grenades, quickly fanned out to a central train station, the Chabad House and other tourist locations, including several popular hotels. According to security services, the Chabad House was a pre-selected target. All 9 people at the Chabad house were murdered because they were Jews. This is and has always been the reason for the last 2000 years. They are Jews! And yet, it is not condemned by the world. It is celebrated in Muslim nations as a good thing. A blessing to kill Jews. Little Moshe Holtzberg will turn 2 tomorrow. The Religion of Peace has already given him their birthday gift, 2 murdered parents. You can do better. Please donate to the Chabad of Mumbai Relief Fund. Consider it a special gift for this sad, little boy. Filed under: Chabad, India, Muslims, Terrorism |	Comments Off on Why?